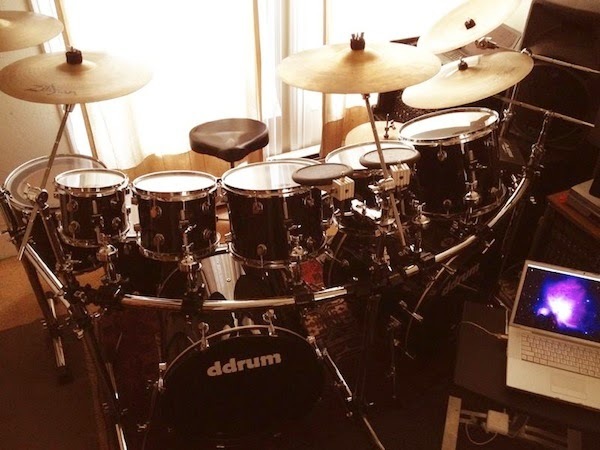 After completing the work on myIndian Subsonic Bass Sound Kit, and refining my technique on theZendrum EXP, it was time to turn my attention to my latest project: building an acoustic-electronic hybrid drum kit, based on the kits of Billy Cobham. I'd been a fan of Cobham since the early '70s and learned to play using his "open-handed" technique via my teacher, drummer Paul Sears. 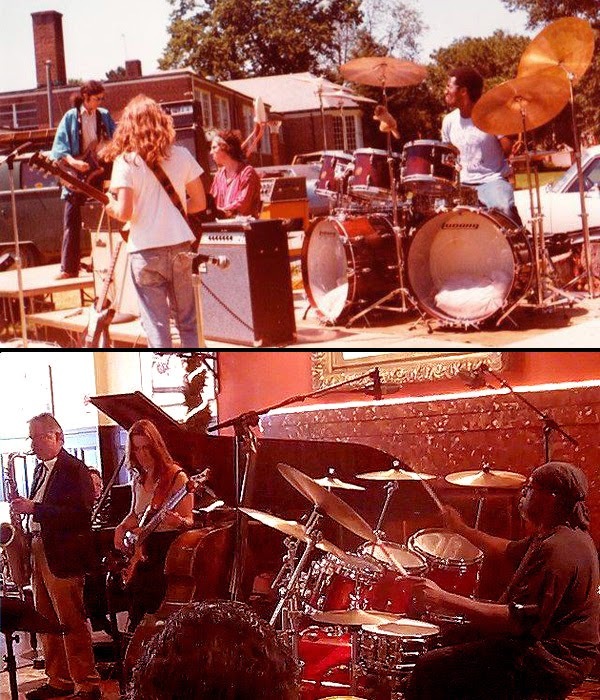 My first kit was actually a 6 piece, double bass drum, Ludwig clear Vistalite kit that my Mom helped me buy back in '75 from the now defunct Veneman's Music store in Silver Spring, Maryland. 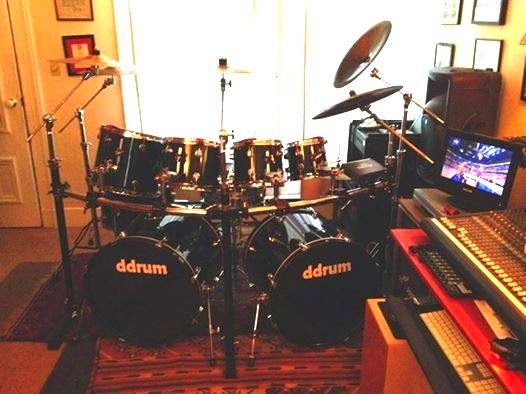 As soon as I'd saved up enough money, I went to Chuck Levin's, aka Washington Music Center in nearby Wheaton to buy two more rack toms and another floor tom to create a replica of Cobham's clear Fibes set with the Mahavishnu Orchestra. I eventually sold that kit, traveled to Europe in '77, and after I returned to the States, I bought an identical Gretsch kit, thanks to my Dad. Admission to the Corcoran School of Art and a move to New York City in '80, sadly required selling that kit too. Still needing to play percussion, I soon fell in love with Bill Bruford's use of the Remo Roto toms in bands UK, Bruford, and later his Simmons Electronic drums in King Crimson. Before I knew it, I was thrust into the world of New York's music and art scene; CBGBs; playing with Madonna, The Breakfast Club, The Same & Brian Eno; parties with the Andy Warhol crowd, and a thirst for the new music of fusion, rock, jazz and punk. The rest is history as they say. With the exception of another bass drum, it would be another thirty years before I would be able to replace that beloved Gretsch kit. 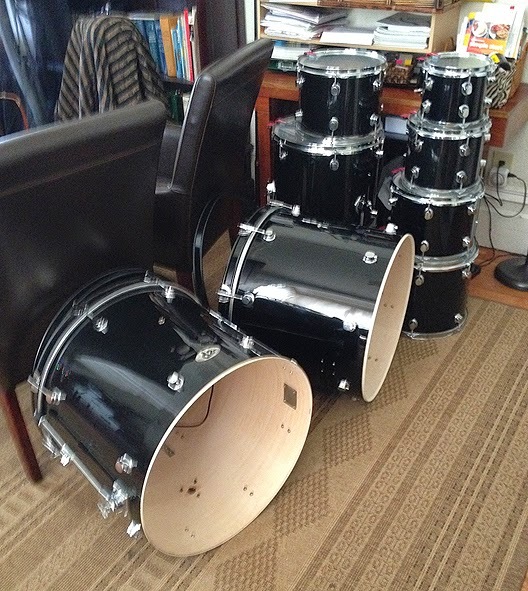 After buying a used 7 piece Gretsch kit from Sam Adato's Drum Shop in SF, I quickly realized that it would be extremely expensive to duplicate all the drums from that 1980s Gretsch kit today; the bass drum alone would cost at least $1000! Nevertheless, I longed for the day when I could once again roll down an array of toms as I once did. 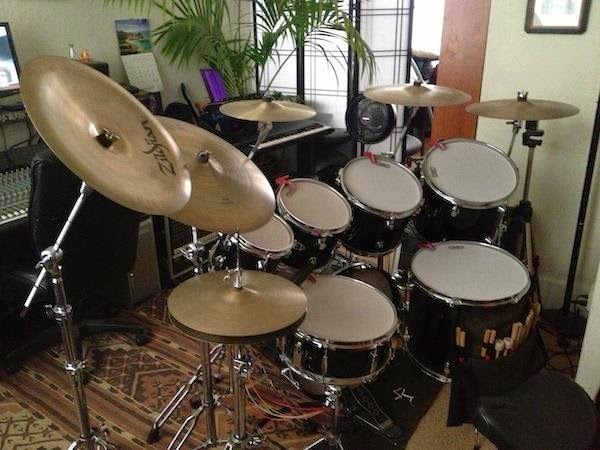 The solution to that problem came when I came across an inexpensive, 5 piece set of Ddrum d2 drums online for only $300. Purchasing two more of their "d2 Add-on" toms, allowed me to be able to duplicate my all-acoustic Gretsch kit, drum for drum. 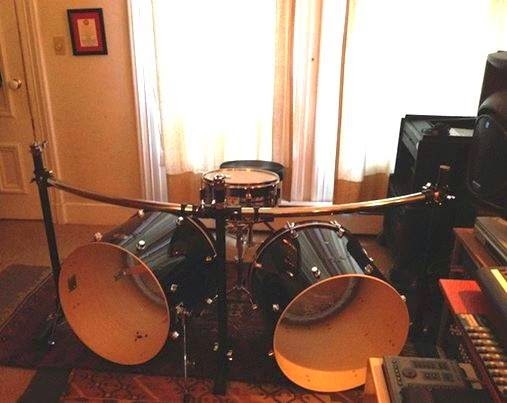 My first thought was to turn the Ddrums in to an all-electronic kit. My 10 piece Simmons SDS 9 kit still worked, even when mated to my new MacBook, BFD2 and an Alesis Trigger I/O, but their 1980's design looked dated, the piezoes were over 20 years old and compared to the newer mesh drum heads of the modern V-Drums, they simply were no longer something I could imagine playing live, or anywhere other than the comfort of my home studio. So armed with all of the electronic equipment I needed, (including a compliment of Ddrum Red Shot triggers and Hart Dynamics mesh drum heads), I set out to obtain the rest of the Ddrum kit on ebay. Ddrum doesn't sell individual drums for their "d" Series, so I had to spend some time searching for partial or suitable kits in the same black color, extra lugs and matching chrome rims. I was fortunate to find a 14" x 14" floor tom, however I was unable to find any other matching Ddrums, so I resorted to buying two Sound Percussion drums; an 18" x 22" kick to match the bass drum I already had and a 9" x 13" rack tom. The SP drums were very similar to the Ddrums, so I stripped them of their hardware and replaced them with the extra chrome lugs I had from two, cannibalized "d" series drums that I found on ebay for less than $50. Although I began with the idea of an all-electronic kit, I soon realized that I would be missing out on the acoustic side by using only mesh heads; I also wanted the ability to play them live, without the use of any electronics; leaving the mixer, Mackies and laptops at home. So with the arrival of all of the drums, and rims, I paused and bought a few more Remo Muffl' Rings and Evans 360 heads. The Muffl' Rings would help with both controlling the unwanted overtones and helped with triggering; something I learned from playing with them on my Gretsch kit, which were superior in tone and quality in every way. 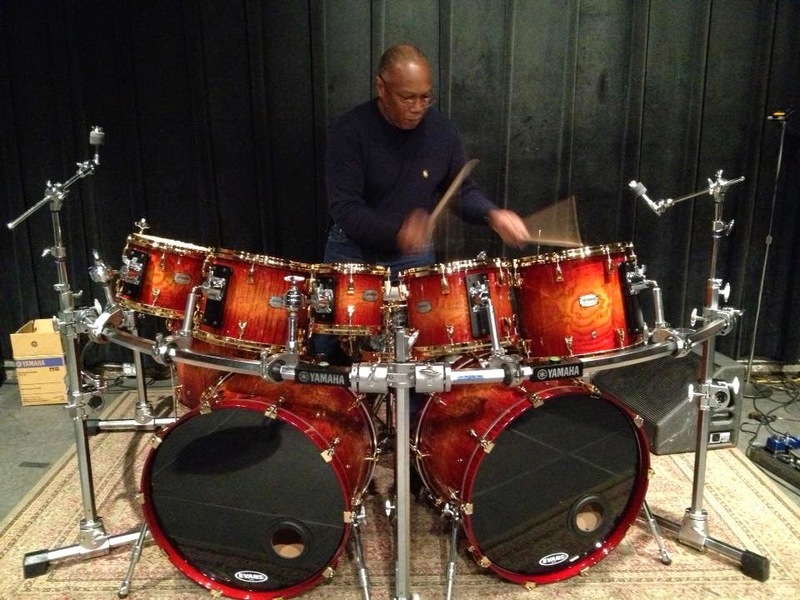 I already had all the hardware, stands and cymbals, however building this kit led me back to researching rack and stand alternatives, and Billy Cobham. Next came the addition of my Zildjian cymbals; 18" China, 20" Ride, 14" Hi-hats, two 16" Crashes and a 20" Crash; a 14" x 6.5" Tama snare; a Gibraltar Kick drum/Hi-hat clamp; a pair of DW 5000 Kick pedals, installing the ten Ddrum Red Shot triggers, and mounting the Alesis Trigger I/O MIDI interface. Voila, the kit was reborn! It was like riding a bicycle, or hanging out with an old friend I hadn't seen in years. "Catching up" was almost like picking up where we'd left off! 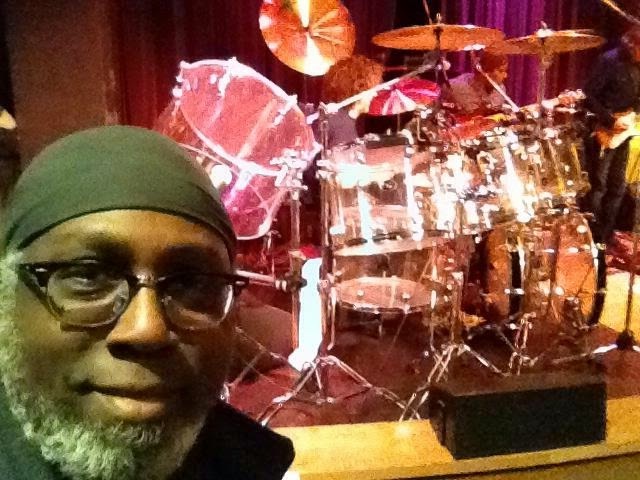 A month or so earlier, I'd seen and met drummer Simon Phillips at both his SF Jazz Center performance with Hiromi and her Trio Project, and a few weeks later at Yoshi's in support of his wonderful "Protocol II" album. Phillips talked about the influence the open handed drummers like Lenny White and Cobham had on him and I nodded in affirmation. They say "fortune favors the bold", so I tried it. I was immediately surprised at how well it worked; having the low tom near my left side was wonderful, something I'd experienced playing a symmetrical set up ala Bruford; rolling on the rack toms from lowest, to high, to highest, to lower, to low, was like opening a new world of tonal possibilities. I couldn't believe how much fun I was having playing them that way! 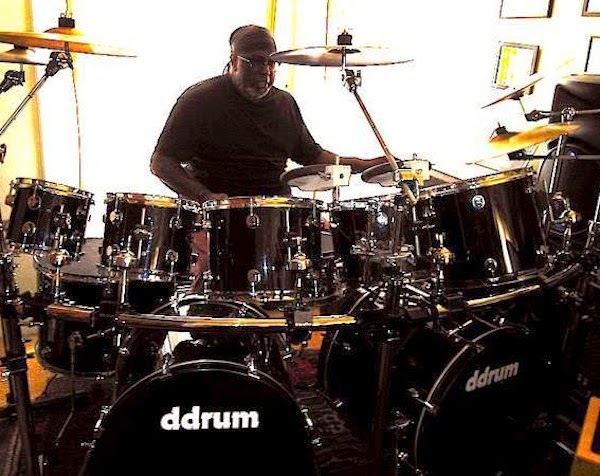 I next tried them out on a new tune I'd been working on that featured a cascading tom fill almost from the beginning and the low, high, low, high pattern breathed new life into a part that was originally your classic tom fill. Once I hooked up the Red Shot triggers to the Alesis interface, I was off to the races, triggering my BFD2 library of sampled drum sounds and samples. 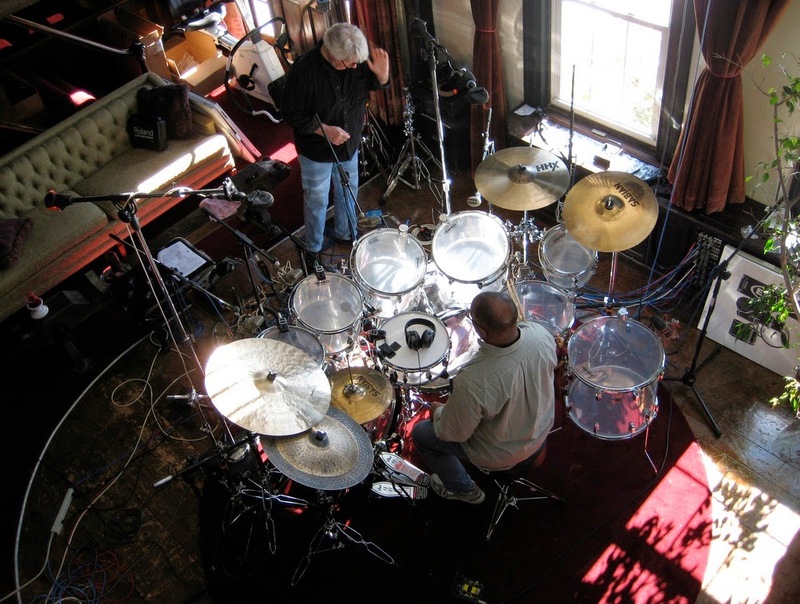 As fate would have it, I also came across the new Ken Scott/Billy Cobham samples for BFD2; Ken Scott was the engineer for some of Cobham's greatest albums, including his work with the Mahavishnu Orchestra. Scott recorded Cobham on a combination of clear Fibes and Ludwig Vistalite drums in his New England studio, especially for this project. I purchased the collection from Sonic Reality, and after a brief call to tech support, I had it up and running; I'm already using it with the Zendrum EXP now, and so I'm really looking forward to playing the hybrid kit with them! At long last, the hybrid Ddrum acoustic/electronic kit, with Zildjian cymbals, and Red Shot triggers is now, "operational and fully functioning". I'll have more details and updates after my first sessions with it in Mid-July, with keyboardist Steve McQuarry and his own hybrid quartet, featuring electric violin and electric bass. In the meantime, I'll be tweaking the triggers, shedding more new material and generally having fun with my latest kit. Eventually, I'll mount some of my Pintech triggers on a wooden bar with "L" brackets inside each of the drums, just as I did with the Indian Subsonic Bass kit. Now I'm not going to kid myself; considering the venues and nightclubs that I play in, bringing this new "beast" out isn't going to be as easy as it is when I'm traveling with the Zendrum EXP, a rack and a pair of Mackies to be sure, but with the Gibraltar rack and only a few stands, it really isn't much harder than bringing out my Gretsch kit; a kit by the way, that is twice as heavy as the lightweight wood from China, used in the Ddrum d2 series. That being said, this kit will most certainly be in action for a special acoustic/electric duo concert with the aforementioned Mr. McQuarry at the Cadillac Hotel this coming September, so stay tuned!